You can call us at (603) 881-8210, or email Tom at SmithFarmHudson.com. We are conveniently located at 131 Kimball Hill Road in Hudson, less than six miles from Route 93 and Route 3 in Hudson, New Hampshire. Take exit 3 for Route 111. Go left at the end of the exit. After about 4.75 miles, take a left at the light onto Mammoth Road. Follow Mammoth Road for 2.3 miles. Turn right at the blinking yellow light onto Keyes Hill Road. Smith Farm is about 1.25 miles along, on your left. 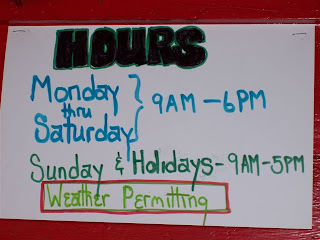 Look for the big red barn that says H.E. Smith & Sons. Take exit 1, heading for Hudson. After you cross the river on the Circumferential Highway, take a left at the light onto Lowell Road. At the next light, take a right onto Wason Road. Follow Wason for about 2.5 miles until it ends. Take a left onto Bush Hill Road, then the next right onto Speare Road. 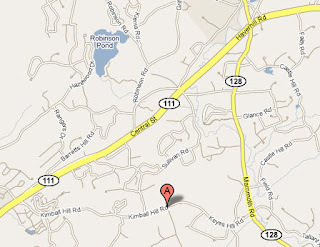 Follow Speare until it ends at an intersection with Kimball Hill Road. Turn right; Smith Farm will be about one mile down on your right. Look for the big red barn that says H.E. 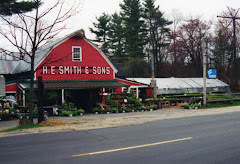 Smith & Sons.